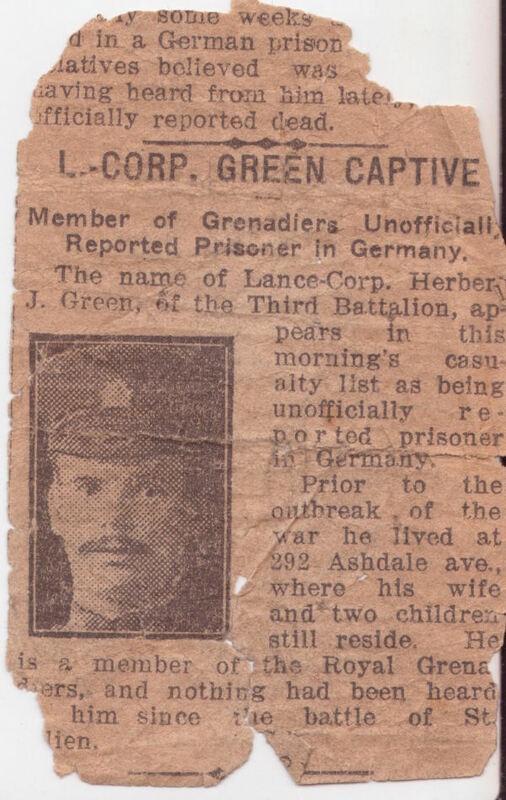 9908 Lance Corporal Herbert James Green was born 13 March 1885 in Tottenham, Middlesex, England, son of Charles Green and Hephzibah Martin. He emigrated to Canada in 1906, and on 9 November 1907 he married Edith Emily Jones in Toronto and had two sons – Frank Charles and Herbert. Circa 1908 he joined the militia and served in the 10th Royal Grenadiers until joining the 3rd (Toronto) Battalion, Canadian Expeditionary Force on 22 September 1914 in Valcartier. 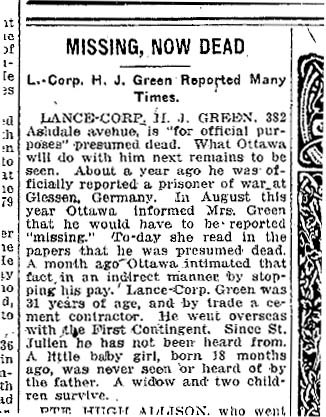 He was first reported as missing in action and potentially a prisoner of war but eventually was presumed dead as of 2 May 1915 following the Battle for St Julien. 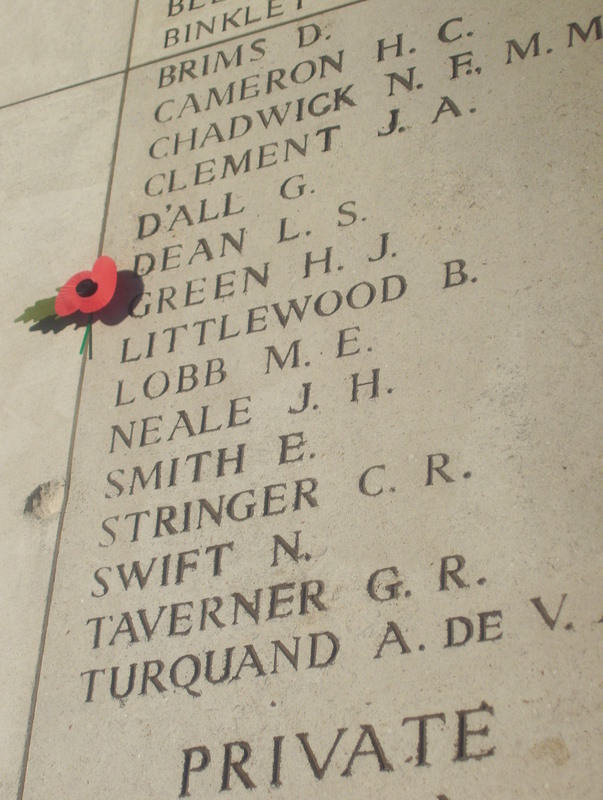 As his body was never recovered, his name is engraved on the Menin Gate Memorial in Ypres.